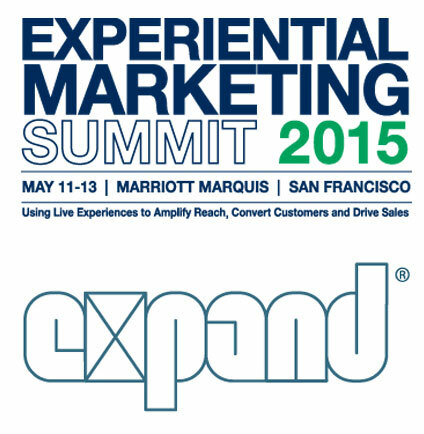 Expand is excited to be attending the the Experiential Marketing Summit 2015 in San Francisco. We couldn’t be more thrilled to give people a hands on look at many of our fantastic, new innovations that we made in the portable event display field this year. EMS is a yearly convention where the leaders and trendsters in experiental marketing discuss and present the newest and best insights in their field. The three day conference (from May 11-13) will cover anything and everthing you need to know about creating the most interactive, attactive, and engaging activations possible. If you are looking for inspiration, come by booth 210 to view some of the amazing products Expand has to offer, and meet our friendly & knowledgable Expand staff.